CFSEU-BC and it’s members have been recognized by many law enforcement agencies world wide. Whether it’s recognition for our outstanding commitment or an appreciation of our support on a number of global investigations. CFSEU-BC has been involved in some high-profile investigations that have resulted in a number of significant arrests and charges against some of the most violent gang-involved people in British Columbia and beyond. Below are some of the awards and recognition as a result of some of those investigations. In acknowledgment of your contribution and support of the Pacific Rim Money Laundering & Financial Crimes Conference. In appreciation for your many efforts and continued support of the United States Secret Service and its missions. Award for recognition and apparition of your support of the Asian Special Investigators Association & to Canadian & US law enforcement. 2006 – Recognition of CFSEU-BC’s units outstanding commitment & dedication during project E-pork. In recognition for exemplary service to drug law enforcement to CFSEU-BC. Presented to CFSEU-BC for helping build Guatemalan Justice Systems. 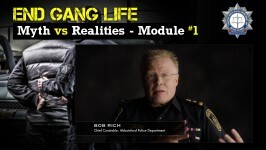 Recognition of CFSEU-BC’s Sergeant Lindsey Houghton who spearhead the launch of the “End Gang Life” media campaign, a bold anti-gang campaign designed to give gangsters pause about their lifestyle choices. Sergeant Lindsey Houghton has been instrumental in redefining the Media Relations Officer program and Anti-Gang Strategy at the Combined Forces Special Enforcement Unit – BC (CFSEU-BC) over the past year.